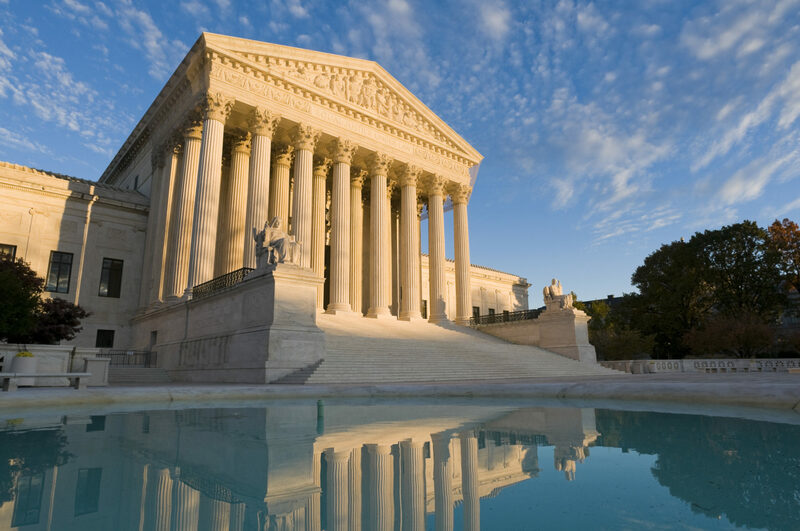 Supreme Court oral arguments are a formal, structured affair, where power differentials are clearly demarcated and the advocates are explicitly instructed to defer to the justices. One product of this hierarchy is norms of civility, but the exact content of these norms can be hard to parse. Justices talking down to the advocates is frowned upon, as the freshman Justice Gorsuch discovered when he was seen to be condescending to the Supreme Court bar. In contrast, Justice Scalia was often celebrated for his jibes and “biting wit” even when at an advocate’s expense. And among the justices, Justice Gorsuch is said to have irritated his colleagues by being patronizing, yet Scalia once awarded his colleagues a “Prize for the Court’s Most Feeble Effort to fabricate” an argument. This raises the question of what constitutes politeness at the Supreme Court: is it a question of form over substance? Previous scholarly work, updated in a previous post, showed that female justices use polite language significantly more often than male justices; it also provided evidence of polite language forming part of the institutional role of being chief justice, at least for Chief Justice Rehnquist, who dramatically increased his use of polite language when promoted from Associate Justice. This post first looks at other trends over time on the Court in terms of polite language. We assess use of each term as a proportion of how many times the justice spoke. Thus, the above figure shows politeness conditional on speaking. We have shown that the justices are far more active at oral argument, taking up approximately 13 minutes more of the usual 60 minute argument time. The above figure shows that, even controlling for that increasing level of speaking, and despite the increased polarization of the Court, judicial politeness at oral argument has increased since 2005. That shift is entirely driven by the justices increasingly saying “I’m sorry.” It is not politeness in general that has increased of the Court, just a sense of the need to apologize. The next figure looks at a different measure of politeness, use of an attorney’s name. As we have argued, saying “Mr. Phillips,” “Ms. O’Connell,” or “General Verilli” serves the same purpose as much of the polite language described above: by helping the justice ask a question at oral argument without launching straight into the substance of the question—what we call “throat clearing.” But this pattern is a type of formality rather than traditional politeness, and we see quite different trends emerge in the two types of language. This figure uses the same technique as the first figure, but looks at the justices’ changing tendencies over time to address the advocates by name. The first thing to notice is the difference in scale between the first and second figures. Even in the Court’s most polite Term, 2017, the rate of polite language per speech episode was well below .04; use of the advocates’ names was commonly more than double that, even exceeding .08 in the early 1990s. From 1995 to 2010, there was a considerable drop off in this pattern of language, but even at the new low point in the late 2000’s, the level was equal to the Court’s typical use of polite language. As such, formality has largely dominated politeness at the Court. The downward trend since 1995 fits with our findings of significant changes occurring at oral arguments since 1995: increasing activity by the justices, who use more words, have more speech episodes, and speak for longer duration; and increased advocacy by the justices, who offer more comments than questions and direct those comments particularly to the advocates each justice ultimately rules against. However, with the entry of Justice Kagan onto the Court in 2010, there has been a considerable renewal in the use of advocates’ names and titles. The navy bars show Justice Kagan’s contribution to this pattern: she accounts for almost half the Court’s use of this language since 2010, and the vast bulk of its renewed use. As the next figure shows, Justice Kagan is an outlier not only on the current Court in this regard, but also historically. The above figure also shows that part of the large increase in the “sorriness” of the Court in recent years is driven by the entrance of two (or three) justices in particular on the Bench. Chief Justice Roberts, who joined the Court in 2005, Justice Sotomayor, who joined the Court in 2009, and Justice Gorsuch, who joined the Court in 2016, use this language particularly frequently (but, as previously noted, conclusions about Justice Gorsuch are necessarily preliminary). In contrast, while there are some justices, such as Justice Breyer, who use advocates’ names very infrequently, many more of the justices regularly use this formality than use traditionally polite language. This analysis answers some questions and raises others. For instance, are justices who were previously advocates more likely to use titles, having been trained to always address the justices by name during oral argument? And are the trends we have identified in the use of language over time, such as diminishing use of permission to ask and increase in the use of “I’m sorry,” particular to oral arguments or are these movements more general within society? Previous PostPrevious Who is the Politest Supreme Court Justice?